On the heels of a prolonged outgoing flow of personnel, Deutsche Bank AG has reportedly hired three new regional Vice Presidents to bolster its US Exchange-Traded Products (ETP) team. In particular, Deutsche Bank has lost several employees and executives from its Asian division, part of a long-term management shuffle that has left a swell of vacancies. Deutsche Bank is one of the largest names in investment and retail banking, dealing with products such as forex, equities, fixed income, and derivatives, among others. An ongoing probe into the group’s forex dealings has engulfed Deutsche Bank, along with several other leading institutional banks, which could yield some sort of finality by years end. 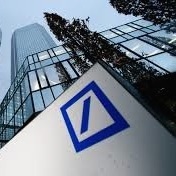 Meanwhile in the United States, Deutsche Bank has fortified its ETP team, culminating in three hires: Steve Dunn has joined Deutsche Bank as an Exchange-traded fund (ETF) Regional Vice President, responsible for managing ETF strategists for US accounts. Mr. Dunn has worked previously as the Director for BlackRock’s iShares sales and Distribution Strategy team, having garnered over 15 years of experience in exchange-traded funds. In addition, Lisa Poniewaz also joins Deutsche Bank from BlackRock and is tasked with overseeing the Texas region as an ETF Regional Vice President. Like Mr. Dunn, Mrs. Poniewaz formerly worked in BlackRock’s iShares business. Finally, Deutsche Bank has also named Brian Szitanko as part of a trio of ETF Regional Vice Presidents, responsible for the Great Lakes region in the Northeastern US. Mr. Szitanko has held previous roles at TS Capital as a Regional Director, as well as working for Legg Mason Global Asset Management and Citigroup Asset Management. According to Fiona Bassett, Deutsche’s Head of Business in the Americas in a recent interview on the hires, “we’re in an aggressive buildout mode, and part of that is making sure that each of the pillars is well-staffed and operating with the right level of support.” Indeed, Deutsche Bank’s Exchange-traded product suite in the US boasts 64 products with nearly $11 billion in assets.